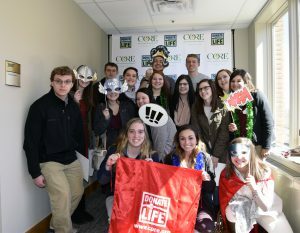 The Organ Tissue Donation Awareness Project (OTDA) works to implement organ/tissue donation and transplantation education in Pennsylvania’s secondary schools with the goal of enhancing students’ awareness and knowledge of organ and tissue donation. For this purpose, OTDA has created a step-by-step tool kit. Teachers can utilize this resource to better inform their students about the realities of organ and tissue donation programs and services in Pennsylvania. Contact Francesca Ferrante at fferrante@core.org to arrange for a speaker to visit your school or to get more information about this life-saving educational program. To learn more about OTDA and how to get your school involved, visit the OTDA website or call 800-DONORS-7 (800-366-6777).